We need to debunk the notion that main stream media has led the American public into believing; that we are against immigrants. We are NOT against legal immigrants, we are against ILLEGAL ALIENS committing crimes against Americans and being allowed to have less accountability for crimes they commit than American citizens. We need to preserve our tax dollars for deserving Americans such as the homeless, veterans and children. Our educational system needs to educate AMERICAN children. Our Veterans deserve to be taken care of better than Illegal Aliens. 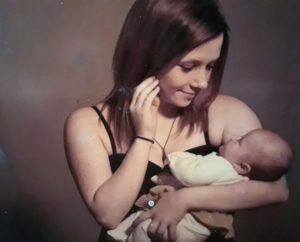 My name is Michelle Root, my daughter Sarah Rae Ann Root, was killed January 31st, 2016 by an illegal alien who was drunk driving (BAC .241) and street racing (70+ MPH). Sarah had just graduated (January 30th, 2016) with a 4.0 bachelor's degree in Criminal Investigations and while stopped at a stop light she was rear-ended by Edwin (Eswin) Mejia, a 19-year-old Illegal Honduran, who came to this country illegally and unaccompanied at age 16. He had several priors, failure to appear, driving the wrong way down a one-way street, no driver's license, child endangerment and no proof of insurance. His bond was set at $50,000 and he posted $5,000 on February 5th, 2016 and hasn't been seen since. Sarah was a 21-year-old with her whole life ahead of her, she was full of life and was so excited to start the next chapter in her life. She is loved and missed dearly by her friends and family. No matter how hard I fight it will never bring my beautiful daughter back but I will continue to fight so people can be educated on our Immigration Policies, the devastation that is caused by not following our Immigration Laws, to honor my daughter and to help others that have gone through this preventable tragedy. Mary Ann’s fight has always been about honoring her son and also about getting our politicians on board with the fight to uphold immigration laws and to put Americans first. My son, Sgt. 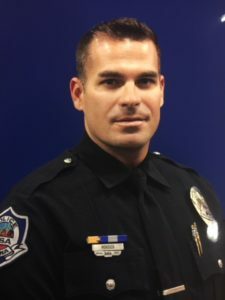 Brandon Mendoza of the Mesa, AZ police department was killed on May 12, 2014, in a violent head-on collision on his way home from work. He was killed by a repeat illegal criminal who had driven over 35 miles the wrong way on four different freeways before slamming head-on into my son’s vehicle on a blind curved transition ramp. This illegal alien was high on meth and blood alcohol over 3X the legal limit. Brandon was a fun loving, incredible man/son/brother/uncle/grandson along with being an amazing police officer who took pride in his job and creating a stronger community. My fight has always been about honoring my son and also about getting our politicians on board with the fight to uphold immigration laws and to put Americans first. I spoke at numerous Trump rallies in Phoenix, AZ during the 2016 campaign, was a speaker at the Republican National Convention in July 2016, was a guest on the Hannity Town Hall in Austin Texas in August 2016 and spoke at the Trump rally afterward. I attended several of the debates between Trump and Clinton, was a guest speaker at the CNN Town Hall with Speaker of the House Paul Ryan in January 2017, attended the inauguration of President Trump and was invited by President Trump to witness him signing the Immigration Executive Orders at Department of Homeland Security in January 2017. I was also present at Sec Kelly announcement of the VOICE Office in Washington DC on April 26, 2017. I was invited to a Round Table discussion at the White House regarding Sanctuary Policies on March 20, 2018. I was also invited to the White House in June 2018 to talk to President Trump on the Permanent Separation from our children at the hands of illegal alien criminals in our country. I attended the press conference afterward and was able to speak on this issue. I have been a guest on numerous Fox News shows telling my sons story and pleading with our elected officials to protect Americans first and foremost. Sharon Miller is a survivor. In 2001, while living in California, she was kidnapped, forcibly drugged, then brutally gang-raped by a gang of 9 illegal aliens, but had miraculously escaped. Meanwhile, the LAPD did approximately nothing to provide justice in the aftermath. It took well over a decade and a half for her to come to terms with what had happened, and she had long ago left California. However, she has, with therapy and time, converted her pain into a determination to help other women and girls who have suffered similar crimes and to advocate for immigration reform. She has also become a vocal advocate to help put an end to lackadaisical enforcement of existing immigration law by bad actors serving in regional, state and national governments. When not working towards these goals, she lives a quiet life with her husband in the Oregon countryside. Hailey King was my daughter; she was also a mother, friend and hard worker with dreams of joining the Navy. On November 6, 2016, shortly before her 19th birthday, she became a victim of a hit and run homicide by an illegal alien. She was on her way home on a scooter driven by her friend David. They were one block from home when Sergio Larios - Rodriguez who was driving 70 mph in a 35 mph zone, hit their scooter from behind. Hailey was killed and David left permanently disabled. Hailey, who was the passenger, took the brunt of the impact, and never saw what was happening to her. Sergio Larios - Rodriguez then dragged the scooter and David, who was trapped under his truck for over 2,000 feet until David's legs were torn off and his body finally released. Rodriguez then hid the truck with the scooter still trapped underneath it and walked away covertly hiding himself for over 48 hours. He never tried to help Hailey or David; leaving them both for dead on a main thoroughfare in Fayetteville, Arkansas. Hailey survived for six hours on a life support system. I was able to say good bye to my precious daughter. I promised to seek justice and to raise her daughter to know her mother. David survived but is now in a wheelchair. Initially, there were no charges assigned to Rodriquez but after hard work and with the help of non profit organizations and legislators he faces charges including the death of Hailey and battery on David. Rodriquez came into the United States as an illegal immigrant and was able to live and work here until I started the journey to judicial justice. I am determined to work on public policy changes to better protect the legal citizens of our country. An illegal alien's actions have impacted generations of our family and left a little girl without her mother. I have collaborated with legislators in the state of Arkansas, interviewed on FOX News, appeared at national rallies concerning crimes committed by undocumented citizens, and I am a member of Angel Families all in order of hopes of saving another family from such hardships. Aileen and Zach Smith were headed south on I25 to attend their baby shower. Aileen was 7mo pregnant with their son, Dimitri, named after Aileen's grandfather who is an immigrant from Greece. An 8x drunk driving offender, illegal alien, on a revoked license for 12 years, came onto the highway and flipped a U-turn in front of their car. Aileen's side of the car made first impact at 70mph, causing her water to break and go into labor while remaining pinned inside. Dimitri was born via emergency c-section, and lived for just one minute before succumbing to his injuries. Aileen sustained 2 breaks to her sternum, mass internal bleeding, lacerations and rupture of her abdominal wall, uterine wall, and kidneys. After 5 years of litigation, and two criminal trials; the drunk driver was deported back to his country of origin, Honduras. The driver made it very clear to his attorney and to the courts that he has no intention of staying out of the US. Our daughter, Shirra Nicole Branum, was killed in a head on collision by illegal alien, Alan Jacob Mogollon-Anaya on March 16, 2017, in Washington County Tennessee. She had her youngest child, Randy, with her when they were struck by Alan. He had three children in the vehicle with him, two of his own and his girlfriend's son. None of the children in the vehicle with Alan Mogollon were in any restraints. One of the first people to arrive at the scene said they didn't even know a third child was in his vehicle until they were looking for jackets to cover the other children up and found the youngest under the seat, unconscious with a gash in her head. All of the children were put in ICU at The Johnson City Medical Center Hospital. Our daughter died approximately three hours after the crash. She remained conscious up to the last few minutes. After the crash, while still in the vehicle, our grandson told us she took off her seat belt and tried multiple times to get out to her baby boy. He said she kept praying and was apologizing to him. He told her it wasn't her fault and he still needed her. He could tell she was dying. The last sight he had of her was EMS taking jaws of life to cut her from the vehicle. I can't help but wonder if she was apologizing because she knew she wasn't going to live to finish raising her three children. After receiving her autopsy report I realized she never had a chance. One of her ankles was completely dislocated as well as one of her knees. She had multiple breaks and abrasions on both legs. Her pelvic area was crushed. Her sternum was broken as well as several ribs. Her aorta was torn, her spleen was torn and her liver was shredded and seeping into her lungs. She bled to death on the operating table. In this report I also found out the two middle fingers on her right hand were broken and my grandson has a scar on the left side of his chest where she grabbed and held him so tightly during the impact. Our grandson was in ICU for several days. His blood vessels were torn loose within his abdomen. He had to be put into an induced comma and was on a ventilator. He also suffered a broke arm and other minor injuries. This was Alan Mogollon's fourth offense DUI. He was on probation for his third offense and was also out on bond for a deportation hearing from the state of Louisiana. An hour and forty two minutes before he struck our daughters vehicle, 911 had been called with concerns of the truck Alan was driving racing back and forth as well as running several cars off the road. Our daughter's killer left the hospital and has been on the run since. In my opinion as well as many others, law enforcement did not properly do their job in detaining her killer. My husband's mother died two days before our daughter was killed. While at the funeral for his mom several people were inquiring about our daughter so my husband called the jail to see if Mogollon had been arrested and found out he had not. He then called the hospital to see if he had been admitted. At this point my husband called the Washington County Sheriff's Office and asked them to have a guard stay at Alan's room so he wouldn't run. They refused to do so. Three weeks later the BAC came back from TBI with the results showing that Mogollon's alcohol content was more than twice the legal limit. It wasn't until then they obtained a warrant for his arrest. As they went to serve the warrant he was long gone.